The automated current control guarantees local power grid interface. Light and small and easy to take along so you can charge your battery on the go. This adapter will provide productivity and protection for your Asus devices and much more life span. Official ASUS Black laptop sector adapter. 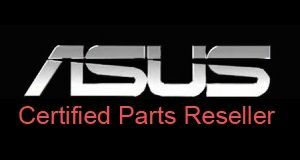 NOTE: We strongly advise the use of Official ASUS parts for your ASUS devices, to ensure durability. protection and longevity of your devices. Warning: Thanks for verifying the voltage and current before ordering.